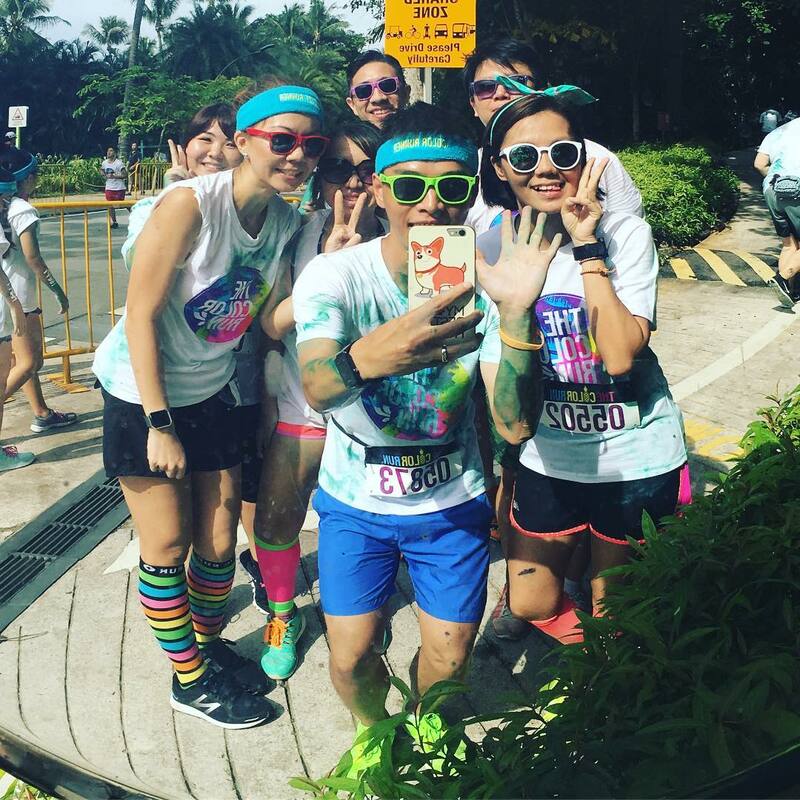 Race Review: The Color Run Singapore 2016 [5km] (by Roarie) | JustRunLah! Dubbed as the ‘Happiest 5K On The Planet”, The Color Run (World Series) is back in action and happened over the 3rd weekend of August (20th and 21st)! This is the first time for Reyrey and I can’t wait to see what’s in store for me. The race pack collection happened over the weekend of 13th – 15th August at City Square Mall, same collection weekend as that of New Balance Run On SG, Puma Night Run and NUS Ru pickups. Collection site also allows late registrations and I managed to get one of my “fun gang” member, Juan to sign up for this highly anticipated run with me, along with my kakis. My kakis and I decided that we would go for the Sunday slot since we had to complete our New Balance Run ON SG (Team challenge) and also I thought the organizer will be more generous with the colored powder thrown out at runners (since it is the last day of this year’s edition and it is perfectly normal to use up everything that was left over from Saturday’s instance LOL)! With the race village situated by the Beach Station, it became too familiar and we already knew where We will be meeting each other and how the route will likely be like (slopes by the first KM) and we were totally correct about it. It was a great turn up with music playing, food/beverage (beer has to be paid)/photo printing booths that are already bombarded with queues by fellow Color runners getting their food, drinks and posing for photos that they can print out for free. Freebies such as sunglasses and visors were being given away (literally flown off the stage by the emcees) and our hands were too short to catch ’em!